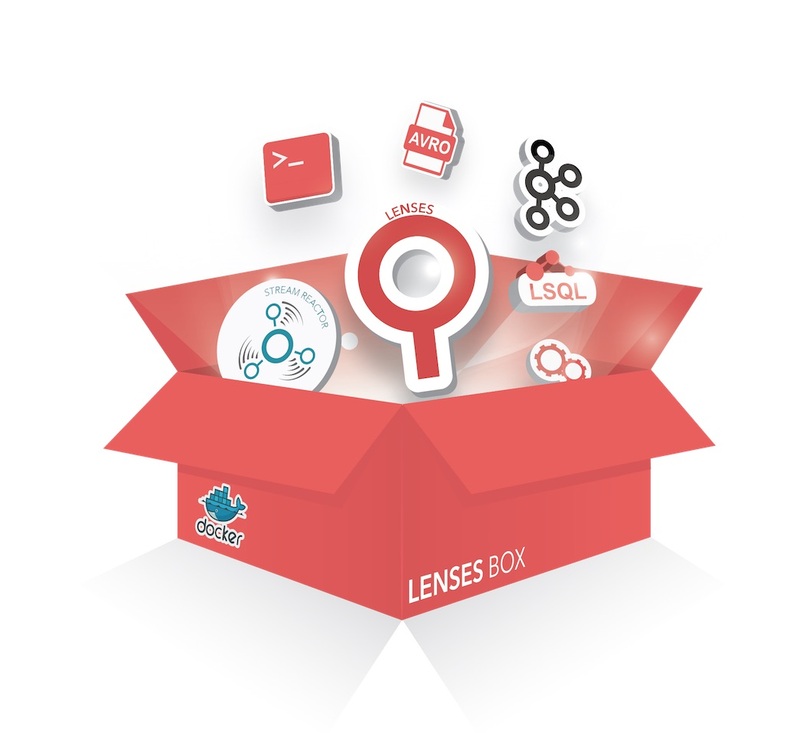 Lenses Box is a docker image which contains Lenses and a full installation of Kafka with all its relevant components. The image packs Landoop’s Stream Reactor Connector collection as well. It’s all pre-setup and the only requirement is having Docker installed. It contains Lenses, Kafka Broker, Schema Registry, Kafka Connect, 25+ Kafka Connectors with SQL support, CLI tools. Before you get started you will need to install Docker. Lenses Development Environment is a docker image that contains not only Lenses but all the relevant services that are pre-setup for your local development. This container will work even on a low memory 8GB RAM machine. It takes 30-45 seconds for the services to become available and a couple of minutes for Kafka Connect to load all the connectors. Don’t have Docker? Check installation instructions here. Please note that the value of the --name parameter can be anything you want. Just remember to replace lenses-dev with your own value in the docker exec commands found in this page. Kafka Connect requires a few more minutes to start up since it iterates and loads all the available connectors. In order to access the Lenses web user interface, open your browser and navigate to http://localhost:3030. Login with admin / admin and enjoy streaming! If you enter the container, you will discover that we even provide bash auto-completion for some of the tools! Making full use of the development environment means you should be able to access the Kafka instance inside the Docker container. The way Docker and Kafka brokers work requires a few extra settings. A Kafka Broker advertises the endpoint accepting client connections and this endpoint must be accessible to your client. 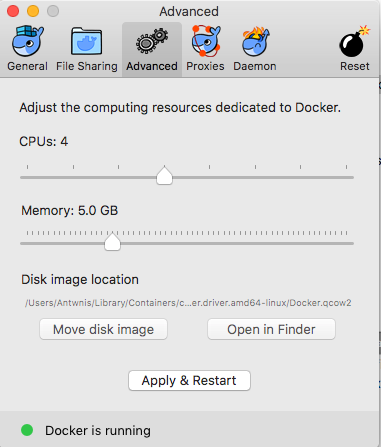 When running on macOS or Windows, Docker runs inside a virtual machine which means there will be an extra networking layer in place. If you run on Linux you don’t have to set the ADV_HOST but you can do something cool with it. If you set it to be your machine’s IP address you will be able to access Kafka from any clients in your network. If you decide to run kafka-lenses-dev in the cloud, you (and all your team) will be able to access Kafka from your development machines. Just remember to provide the public IP of your server! If you are using docker-machine or setting this up in a Cloud or DOCKER_HOST is a custom IP address such as 192.168.99.100, you will need to use the parameters --net=host -e ADV_HOST=192.168.99.100. 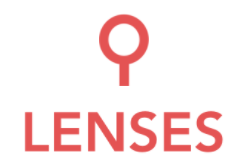 Lenses provides a SQL engine for Apache Kafka handling both batch and stream queries. You can find more details about it here. The Docker container has been setup to create and produce data to a handful of Kafka topics. The producers (data generators) are enabled by default. In order to disable the examples from being executed set the environment variable -e SAMPLEDATA=0 in the docker run command. If you use custom serde, you can add your jar files under /opt/lenses/plugins. The docker image ships with almost 25 Kafka Connectors. You will have one Kafka Connect Worker with all the connectors pre-setup in the classpath so they are ready to be used. Follow the instructions for each connector in order to set their configuration and launch them via the Lenses UI or via the Rest endpoints. 1. How can I run the Development Environment offline? 2. How much memory does Lenses require? Lenses has been built with “mechanical sympathy” in mind. 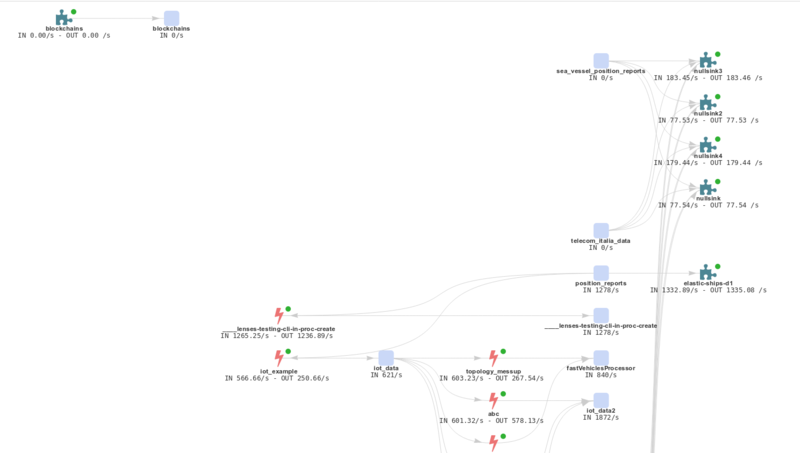 Lenses can operate with 4GB RAM memory limit while handling a cluster setup containing 30 Kafka Brokers, more than 10K AVRO Schemas, more than 1000 topics and tens of Kafka Connect connector instances. The Development Environment is running multiple services in a container: Kafka, ZooKeeper, Schema Registry, Kafka Connect, synthetic data generators and of course Lenses. That means that the recommendation is 5GB of RAM, although it can operate with even less than 4GB (your mileage might vary). 3. How can I connect Lenses to my existing Apache Kafka cluster? 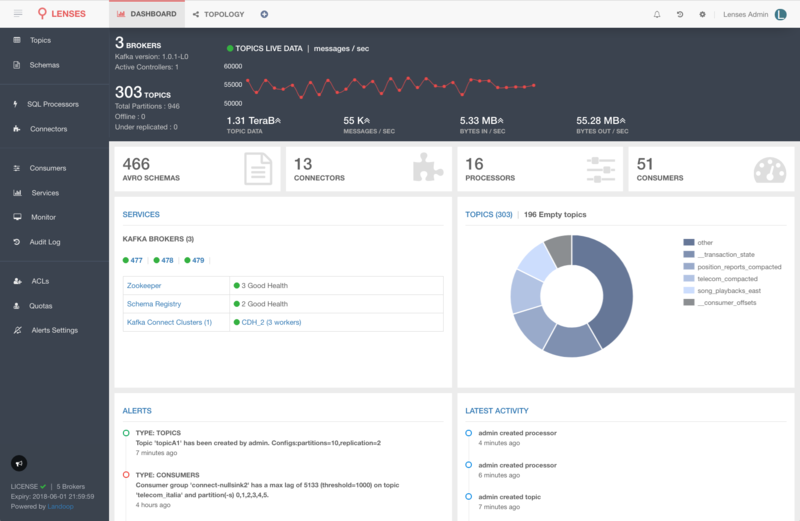 To run Lenses linked to your existing Apache Kafka cluster, you will need to contact us in order to receive the Enterprise Edition which adds Kubernetes support, extra monitoring, extra Lenses SQL processor execution modes and more. 4. Why does my Developer Environment have topics? To make your experience better, we have pre-configured a set of synthetic data generators to get streaming data out of the box. By default the docker image will launch the data generators; however you can have them off by setting the environment variable -e SAMPLEDATA=0 in the docker run command. 5. Is the Development Environment free? Developer licenses are free. You can get one or more licenses from our [website](https://www.landoop.com). The license will expire in six months from the moment you have obtained it. Renewing your license is free! You just have to re-register. You may start your Lenses instance with a different license file and your setup will not be affected. There are three ways to provide the license file.